Unfortunately, time changes a lot of things; including those most trusted around her. When she’s faced with a loss and betrayal unlike any she has ever known, her focus shifts from severing the debt between the demon that wants to kill her, to exacting a revenge that will bring forth consequences she never could have fathomed. By reaching out to the darkness lingering within her, she’ll find the strength to push forward despite the circumstances that would see her dead and buried. Where do I start? How do I begin? As with other reviewers -- I don't want to give too many details --that will spoil the story and I really don't want to do that. What I can say is once again, author, J.A. Saare nails it! If you thought Dead, Undead and Somewhere in Between was a great book - you will absolutely ADORE The Renfield Syndrome. Saare takes Rhiannon (and readers) on an emotional journey that will leave you clutching your chest in excitement. I love it when an author writes "outside the box" with their characters. For example, think of the number one thing a character would never do -- then make them do it AND make the consequences OMFG worthy. Yeah -- it's like that. We all know that Rhiannon is a smart mouthed-azz kicking-badazz chick. But Saare takes you deeper into Rhiannon's relationships and interactions with the characters in this book. It's one thing to try and control events that occur around you, but Rhiannon is in 100% react mode from start to end. She can't control anything. Saare pulls no punches in this story line and she even throws in a few dirty kicks to the ribs while you're down. But trust me -- it's a good thing. 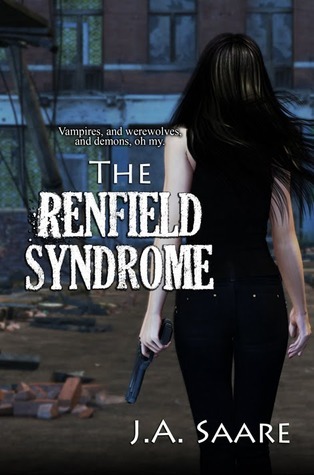 I wouldn't recommend that you read The Renfield Syndrome as a stand-alone. There are too many necessary references to Book 1 that you'll miss (it also adds to the excitement and pacing of the story). So if you haven't started this series. GET TO IT! If you're waiting on a reason to move on to Book 2 - stop procrastinating! You will not be disappointed. 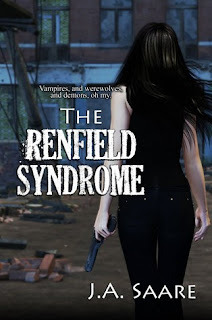 KLB has been kind enough to offer one lucky reader a copy of The Renfield Syndrome. 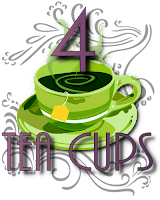 All you have to do is leave a comment with your email address. Contest ends at 11:59 pm on 10/3/11. Winner will be selected by Random.org and will have 48 hours to respond. Good luck! 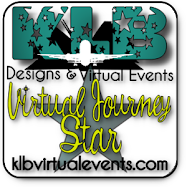 Check out the other great bloggers on the tour! I've not read this author yet, but with the reviews that I've read on the book tour - these books are definitely going on the wish list. Loved the quote from the book. Thanks for sharing your views on this book! I have the first book and will be reading it soon and am glad that the second one sounds just as good! I love Rhiannon, Dead, Undead and Somewhere..., was one of my favorite stories from last year. 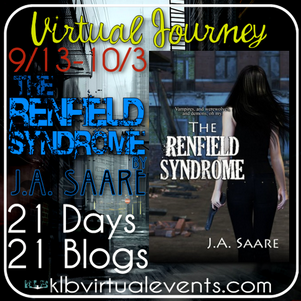 Yours is one of so many great reviews for The Renfield Syndrome, and I can't wait to read it. Thanks for the chance to win a copy. Mandy - so glad you enjoyed it! I'm not a fan of spoiler reviews so I try not to do them. Now get to it! TRS is sooooo good! 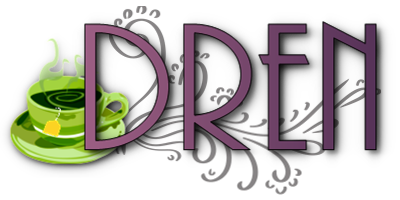 Lori - oh you MUST read it! It's a must! Winnie - you'll fly through Book 1 I PROMISE! And you'll be able to jump right into Book 2! #winning! Caity - Thanks so much! I'm glad you enjoyed the review! I've never heard of this series but it sounds fun. Thanks for sharing this sounds so good would love to read this book! Thank you so much for the great giveaway! I have had my eye on J.A. Saare's works for far too long. It's time for me to start buying and reading because they all sound great.